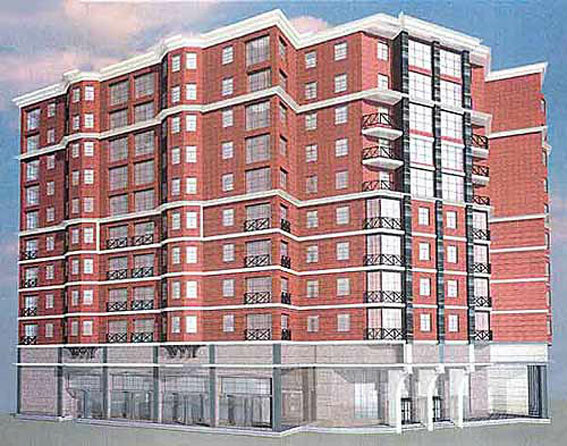 Construction of a 12-storey elite apartment house with a two-level parking, office spaces and redevelopment of the adjacent Children’s park, located in the Central Administrative District of Moscow at: 2-4, 2nd Shemilovskiy lane. Resolution of the Moscow Government, dated 10.11.1998, ¹869, of providing Korben International with a land plot, domiciled at 2-4, 2nd Shemilovskiy lane, for the construction of an apartment house with a total space of 15,5 thousand square meters, incorporating a two-level underground space to accommodate an underground garage, and for redevelopment of an adjacent children’s park (a former estate of Streshnevs-Ostermans). Initial permissive documentation (IPD) ¹ 045-31/1808, dated 18.11.1999, has been developed by the Glav APY of Moscomarchitecture (The Head Administrative Directorate of Moscow Committee of Architecture). 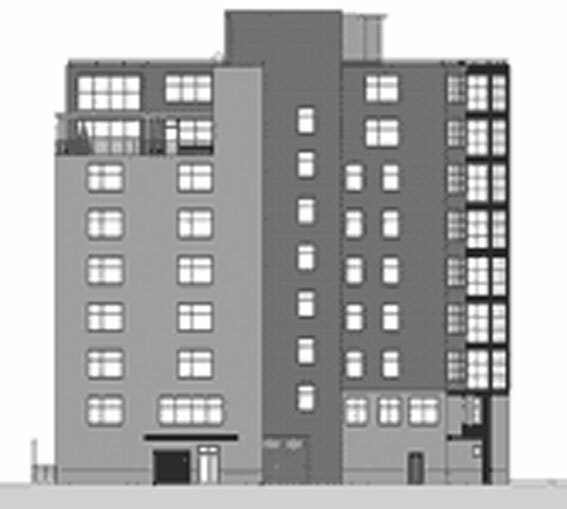 The design was approved by the committee of the Architectural Council of the Central Administrative District of Moscow, protocol ¹148, dated 20.03.2001. Opinion of the Moscow State Non-departmental Commission of Experts ¹55-Ï2/01 MGE, dated 11.10.2001. Beginning of construction - IV quarter of 2002, the ending - II quarter of 2003. The object was commissioned by the Acceptance Certificate ¹ 1, dated 02.10.2003, approved by the Resolution ¹7858ð of the Prefect of the Central Administrative District of Moscow, dated 30.12.2003. The total design and construction cost estimate of the object subject to the design estimates accounted for USD 14199,463.00 (fourteen million one hundred and ninety nine thousand four hundred and sixty three US dollars). Resolution of the Moscow Government ¹869, dated 10.11.1998, of “Providing Korben International” with a land plot, domiciled at 2-4, 2nd Shemilovskiy lane, for the construction of an apartment house and redevelopment of an adjacent children’s park”. The town-planning requirements specification ¹ 416/4-ÃÇ, dated 09.06.1994, was developed by Glav APY of Moscomarchitecture (The Head Administrative Directorate of Moscow Committee of Architecture) at the instruction ¹ 25-837/3 of the First Deputy Prime Minister of the Moscow Government, V. I. Resin, and was extended until 15.08.2001 subject to the Resolution of the Moscow Mayor ¹ 378-ÐÌ, dated 11.04.2004. 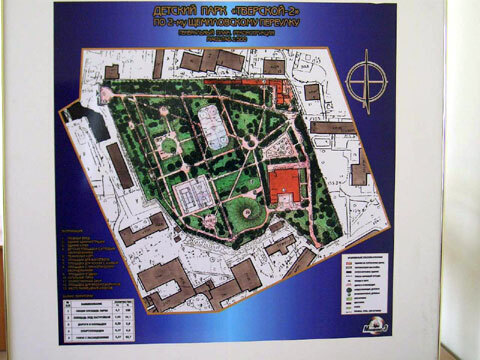 The General layout was developed by the GYP Mosproject-2, redevelopment design of the children’s park «Òverskoye-2» was made by the workshop ¹ 10. Detailed design for redevelopment of the children’s park «Tverskoi-2» was worked out by Mosproject-3, workshop ¹ 6. General contracting organization – «IRAS-Ì», Ltd.
Engineering customer – «OSK Kapstroi», Ltd.
Beginning of redevelopment of the children’s park - I quarter 2002, ending – IV quarter 2002. The Children’s park «Tverskoi-2»was commissioned in the III quarter of 2002. The object was commissioned by means of the Acceptance Certificate, dated November 01 2002 ¹ 1970-Ð. 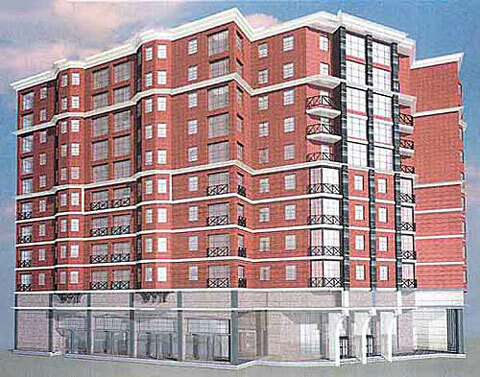 Redevelopment budget over approved design estimates accounted for USD 1053,000.00 (one million fifty three thousand US dollars). The children’s park «Tverskoi-2» is part of the architectural monument – an urban estate of the end of the XVIII –beginning of the XIX centuries, which used to be owned by Streshnevs-Ostermans (L. S. Streshnev, a farther–in-law of the tsar Mikhail Fedorovich Romanov). Until 1740, the estate was located outside of the Zemlyanoi Val (Earth Mound). Historical routing of the streets, such as Seminarskiy Tupik, Delegatskaya. (formerly Bozhedomovskaya), Krasnoproletarskaya (formerly Vorotnikovskaya) and 2nd Shemilovski lane was preserved only partly. Traffic ways were altered. Historical buildings were preserved incompletely. The park still incorporates elements of the palatial complex, built in the beginning of the 60s of the XVIII c. The major part of the estate was occupied by the ancient lime-tree park and an artificial pond. The two paths, which led to the pond, originated from the 2nd Shemilovskiy lane and from the palace. In 1811, following the death of I.A. Osterman, the palace in Bozhedomovskiy lane began to be owned by count A. I. Osterman-Tolstoi. After the fire of 1812 (the fire spread from the Sadovoye Koltso to Selesnevskaya street) the estate has not been reconditioned. On November 23 1834 it was acquired by the Commission of Religious Schools under the Apostolial Synod for the needs of the Moscow theological seminary. During this period architectural part of the estate and a system of ponds in the south, south-east and eastern sides were restored. After 1917, the territory of the park was alienated from the architectural ensemble of the former Moscow theological seminary and was turned into a district children’s park. In 1920 municipal authorities fixed children’s playgrounds in the park, built a wooden open-air theatre and a football ground. In 1830s the ponds were filled up. During the 2nd World War the park accommodated emplacements of the Air Defense unit and a major quantity of trees had to be cut down. In the post war period until the beginning of the 1950s half of the park premises was allocated for a motor depot of the USSR Ministry of the State Security. In 1948 the Children’s park was transferred at the jurisdiction of the department of people’s education of the Kominternskiy district. In 1953 the first general layout of the park was made; in 1953-58 the building of the open-air theatre was pulled down to be replaced with a stone two-storey building, designed for a club of workers of the Krasniy proletariy» printing house. Korben International, subject to a design, worked out by the Moscomarchitecture (Moscow Committee of Architecture) incorporating historical legacy of the XVIII-XIX c. architectural monuments and taking into account the interests and rights of the people, residing in the houses, administered by the city council «Tverskoi» of the Central Administrative District, has redeveloped the children’s park at its own expense without recourse to the budget funds. The park premises were planted with greenery, equipped with modern amenities, a number of sportive and children’s playgrounds, an ice-hill, etc. The functional purpose of the park has been left unchanged and the park continues to be a place for strolls, resting and sportive fixtures for the residents of Moscow and visitors. 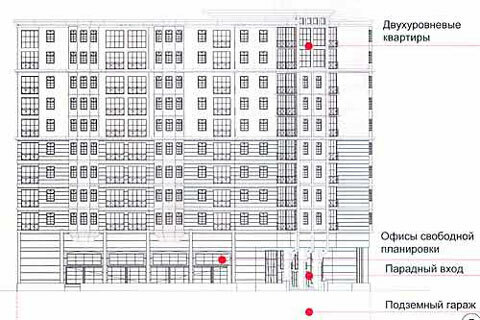 Resolution of the Moscow Government ¹867, dated 10.11.1998, of “Providing Korben International” with a land plot, domiciled at building 13, 1st Volkonskiy lane for the construction of an administrative and business center with a total space of 2 800 sq. m.
General investor, building owner and developer of the administrative and business center – Korben International, the President – Peter.L. Korotkevich. General planning organization – a planning firm «Architectural fund» of the Union of Architects of Russia, «Architectural workshop «ARTE+» Ltd.. Initial permissive documentation, dated 18.11.1999, ¹045-31/1809 was worked out by the Glav APY of Moscomarchitecture (The Head Administrative Directorate of Moscow Committee of Architecture). The design was approved by the public council of experts and consultants under the Chief Architect of Moscow on 29. 04.2002. The opinion of the Moscow State Inter-departmental Committee of Experts ¹ 191-Ï4/02 ÌÃÝ is dated 05.10.2002. Beginning of construction -the IV quarter of 2001, the ending - IV quarter of 2003. The object was put into operation by an Acceptance certificate ¹ 21, dated 27.02.2004, approved by the Resolution of the Prefect of the Moscow Central Administrative District ¹ 2444-Ð, dated 09.04.2004. The total design and construction cost estimate of the object subject to the design estimates accounted for USD 3008,426.00 (three million eight thousand four hundred and twenty six US dollars).